Last Saturday I found myself itching for some more climbing. I loaded the Cervelo up and headed to Beachwood Drive in North Hollywood. Stupid me, and yes again I simply started the climb without a warm-up or base miles. The climb from the last house, to the sign isn't that bad. It's the 12-18% climb up through the historical and modern houses that are situated on the daunting hill leading up to the old Mulholland Drive. Alright, here we go. 3 miles, and over 1000 feet in elevation gained. The walkers, joggers, and odd cyclist you meet along the way are well, eclectic. I was really hoping for some more sunset photos of Santa Monica with the new ride, but some Hollywood Hill sign pics would suffice for this trip. You might be asking yourself, why would I drive to Hollywood to do such a crazy thing. Well, it's no secret that I'm a proud Canadian living in California. About a year ago, I stumbled upon the greatest thing that has ever been built in Merica'. A poutine store that rivals any fast food or fancy sit down restaurant for miles!. 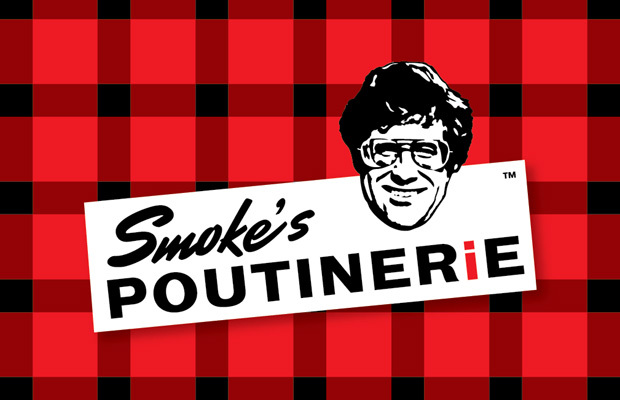 I stumbled upon Smoke's Poutinerie located at 1552 N. Cahuenga Blvd, Los Angeles, CA.If you've never had a Poutine, or think that it sounds dirty, well, you guessed right. Smoke's takes a unique spin on a traditional poutine which is simply fries, cheese curds and gravy and blows apart your tatsebuds with everything from chili to kimchi. If you ever get a chance to make a pitstop, tell them Shane, the guy who always shows up in cycling spandex sent you.